A quick and easy way to create gentle gradients is to use this set of 4 sloping sections from Woodland Scenics. 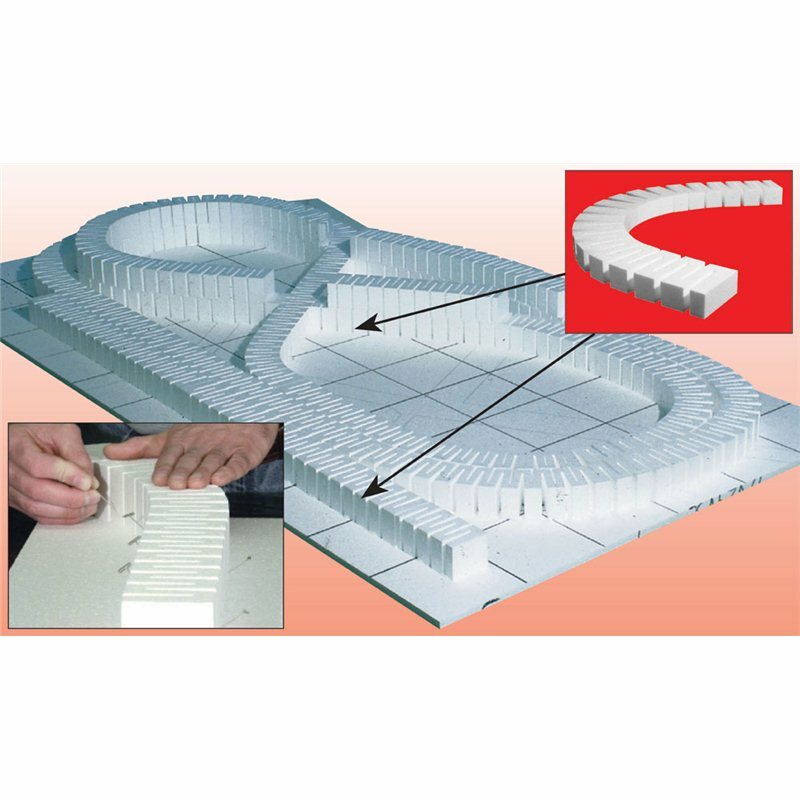 These are flexible in order that you can create sloping curves as well as straights. Simply use as many sections as are need to reach the required height above the baseboard. Each section in this pack will raise the level to ½” (25mm) over a length of 24” (610mm). 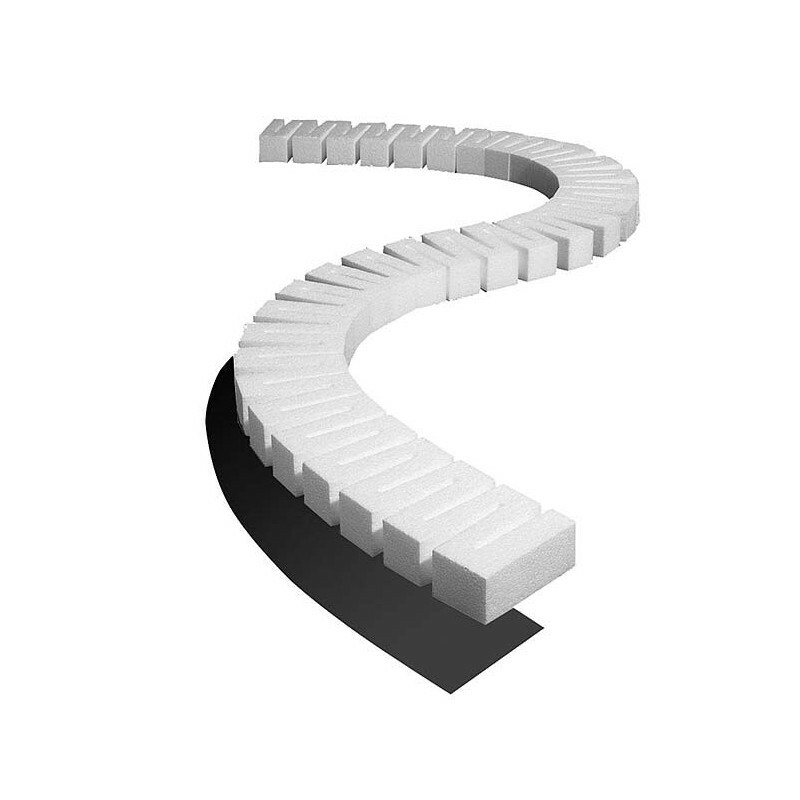 Pack of 4 foam risers. Each one measures 1" Height x 2 1/2" Width x 24" Long (2.54cm x 6.35cm x 60.9cm). There is no experience necessary to build a layout with The SubTerrain Lightweight System. No complicated calculations to make, no expensive power tools to buy and no dusty mess to clean up. 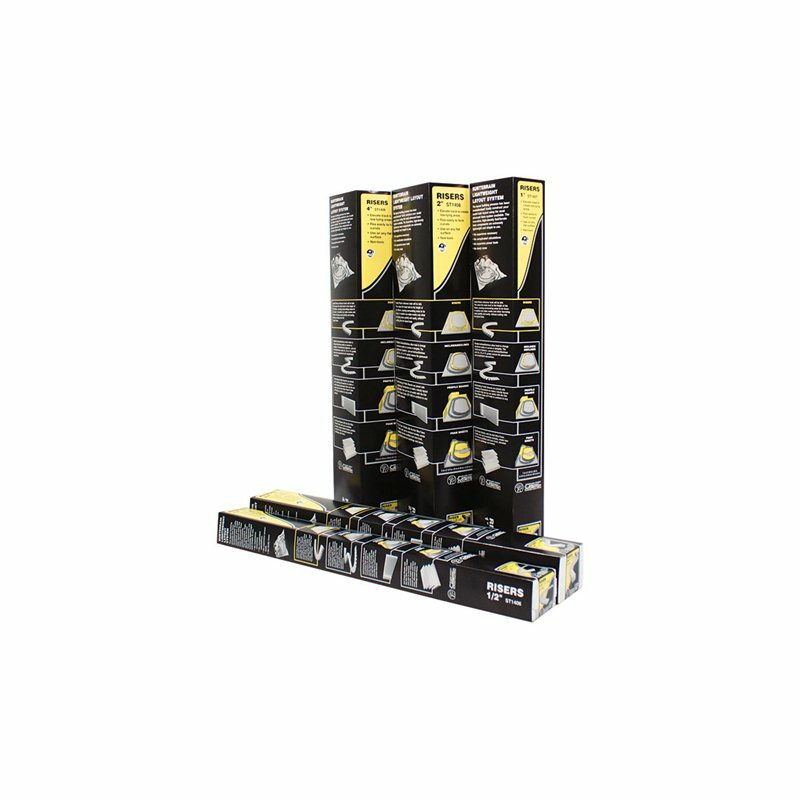 The revolutionary System consists of sturdy, durable and lightweight foam components that take the guesswork out of designing and building a layout, and Tools and Adhesives specifically designed to work with the System. 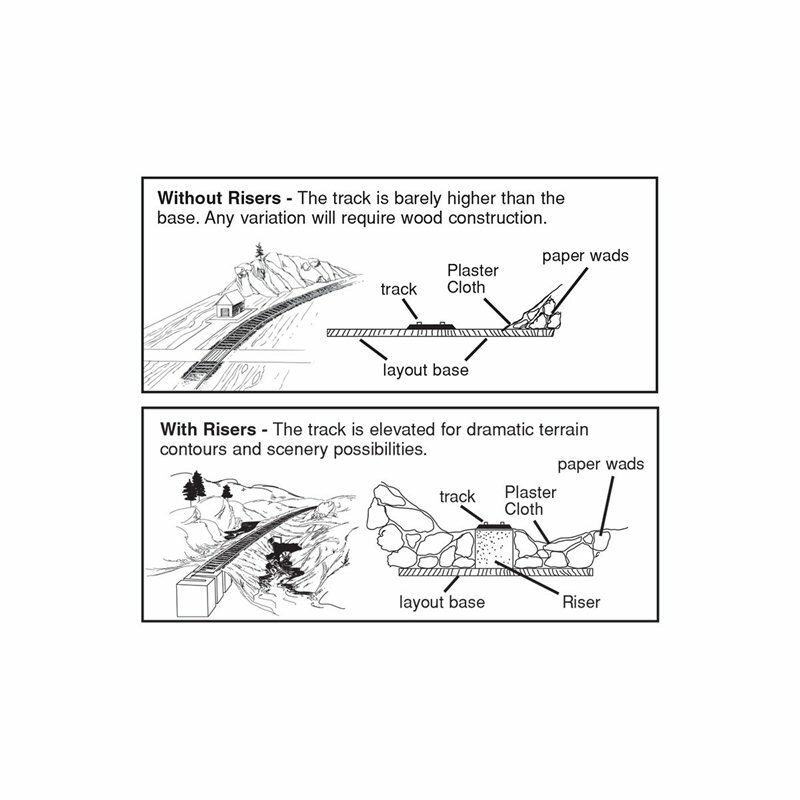 The SubTerrain Manual gives modelers detailed, fully illustrated instructions for constructing a layout.